Police in Belgium launched a new investigation this week after a Belgian newspaper and television station received letters containing death threats against dowager Queen Fabiola. The newspaper, La Demiere-heure, revealed Monday that it got a black and white postcard with the same signature from previous death threats against the Queen in May and June 2009. It also had a drawing of a coffin. Another letter was sent to the television channel, VTM. This letter contained threatening messages, telling Fabiola to enter a convent or be murdered. Last year, a British national was questioned by police, but was released. 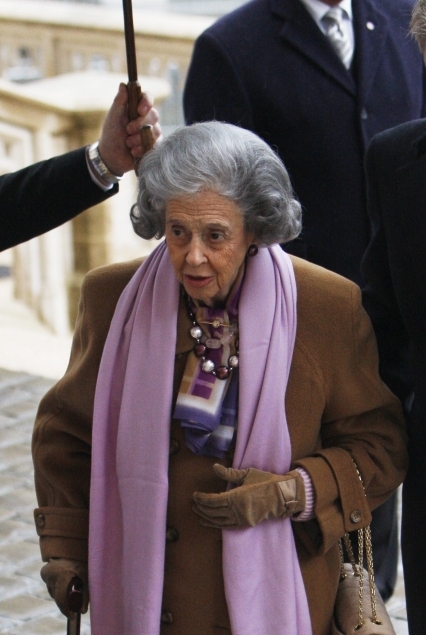 It is possible Queen Fabiola (81) would display courage amidst these threats. During National Day in July, she held up an apple as though to mock her assassin, who said he would shoot her with an arrow on that day. She is tough - my granny would have gotten a heart attack from this all already! We Will Rock You, Again!